Hey there. The wife and I are in need of a vacation. When we want to get away, we usually head out over to Las Vegas for a few days and enjoy ourselves there. But this time around, we want to try someplace different. Someplace new. I've heard many good things about Florida and Boca Raton may be a good spot to check out. Especially after reading up about the Club at Boca Pointe. No, this isn't some night life type club, this is a country club in Boca Raton that offers what we're looking for: amazing scenery, sports, arts, fitness, and best of all, worry free vacationing. See, when it comes down to some vacationing time with the wife, we like to just get away from the kids and spend some time together. Boca Pointe offers just that. The social life atmosphere at the club in enganging and offers trips into town and local universities for activities. If you would like to sit in on a class lecture, you can do that. If you want to do some shopping in South Florida, you can do that too. Anything from trips to musems to art galleries to production shows, the club will help you schedule it and get you there. A country club is not for everyone, but I love that this club has more to offer for the younger generation than other clubs. 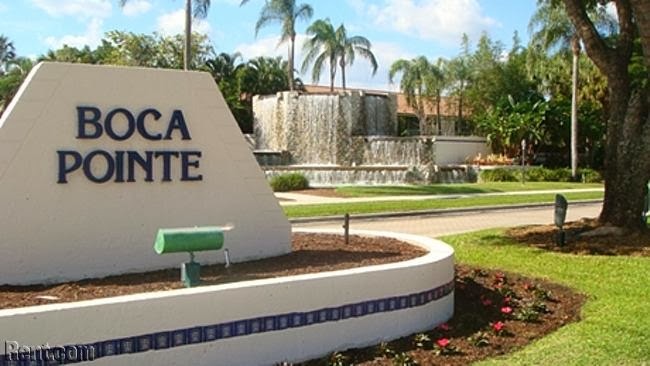 The Boca Raton country club is not your father's country club and if you're going to be visiting South Florida anytime soon, make sure to check this out while there. Later!